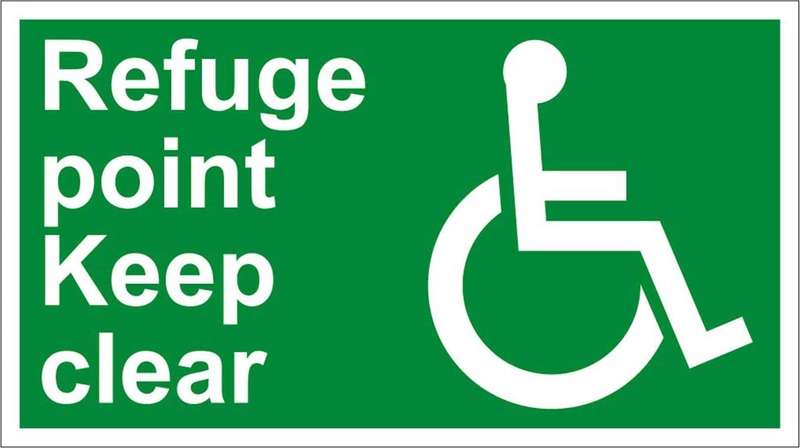 A disabled refuge is a relatively safe area within a building or exit staircase for mobility impaired occupants, allowing building management and emergency services to safely assist these people from the building. Mobility impairment is defined as not being able to walk 200m continuously without aid, and includes arthritis sufferers, people with leg and back injuries and women over 6 months term pregnancy. What is a Disabled Refuge EVC System? An EVC System (Emergency Voice Communication System) is a fixed, monitored and maintained, bi-directional, full duplex voice communication system to assist the orderly evacuation of disabled or mobility impaired people and enhance fire fighters communication during emergencies. A disabled refuge system is not just for use during a fire, and must be available at all times. Why do I have to have a Disabled Refuge EVC System? The risk assessment of a building must be carried out to “current standards” not those when building systems were implemented and to make provision for means of escape for disabled people – The RRO, Regulatory Reform (Fire Safety) Order is Government Legislation and an act of Parliament. Building Regulations insist all new non-domestic buildings with more than one storey provide ‘refuge’ areas – relatively safe places where people who cannot easily use fire escapes and evacuation lifts can call for assistance and wait until help arrives. Simple, effective two-way communication (refuge system) in these areas is essential, firstly to assist rescue teams in determining where assistance is required and secondly to reassure people help is on the way. Our expert team would love to hear from you to see how we can help.